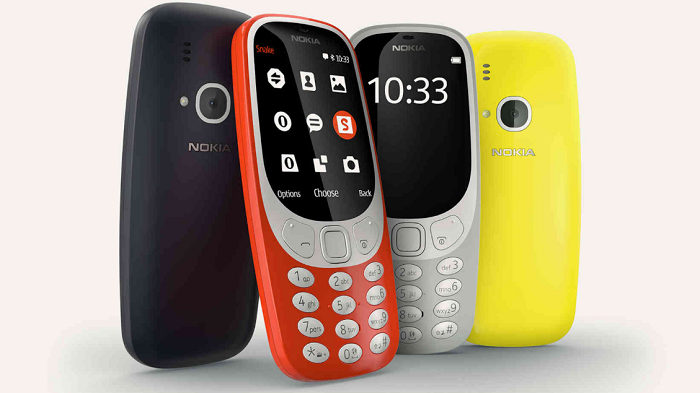 If you had a Nokia 3310 in the early 2000’s, you will appreciate what it means to have an unbreakable and long-lasting battery GSM phone which modern phones like the iPhones has not been able to match. The device was one of Nokia’s most successful phones ever – having sold 126 million of its original 3310 phone since it was first introduced back in September 2000. Now the 3310 is making a nostalgic return in the form of a more modern variant, thanks to Nokia-branded phone maker HMD. At the Mobile World Conference (MWC) in Barcelona today, the HMD Global CEO Arto Nummela held up the phone and said the only three things that matter. Its battery lasts a month, it has Snake, and it has the Nokia ringtone. And then he was gone. The Nokia 3310 is still very much basic like the Nokia 216 and 216 dual Sim variant launched late 2016. Opera Mini is bundled for basic web surfing, but the real selling point is massive battery life – standby time on the Nokia 3310 is 31 days, alongside a talk time of 22 hours. When needed, a Micro-USB port makes charging simple. Unlike the brick-like sturdiness of the old 3310, the modern variant is a little smaller, thinner, and lighter all round. It’s also a lot more colorful this time around, with glossy yellow and red colors, and matte grey and dark blue models. It’s instantly recognizable as a Nokia, and HMD has even included a modern Snake game on the handset just to play on the nostalgia. This is not the first phone Nokia will be producing after it’s non-complete deal with Microsoft came to an end in May 2016. Eearlier this year, Nokia 6 android phone, teased to feature a military grade body which can withstand a wide range of extreme condition was spotted. Nokia may not even remotely resemble the company it was in 2000, but it appears to be getting some of its swagger back.